NEWMARKET, ON – Market Brewing has announced the release of its newest limited edition seasonal beer. 200 pounds of local raspberries went into this American Brown Ale. Light tartness on the tongue leads into raspberry flavour and is followed by a roasted chocolate character reminiscent of Black Forest Cake. A complex malt bill including Brown and Chocolate malts combine with the raspberries to create a decadent aroma. Not too sweet, and not too heavy, with a creamy tan head and a medium body. 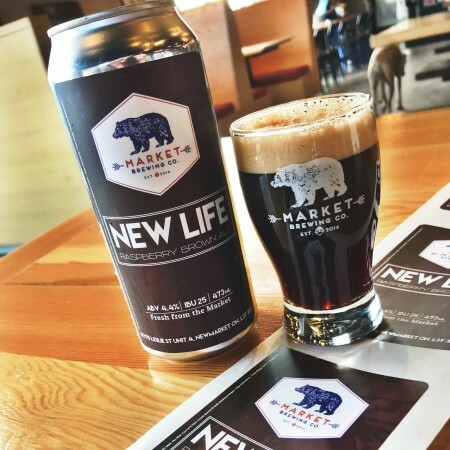 New Life is available now at Market Brewing in 473 ml cans and on tap while supplies last.